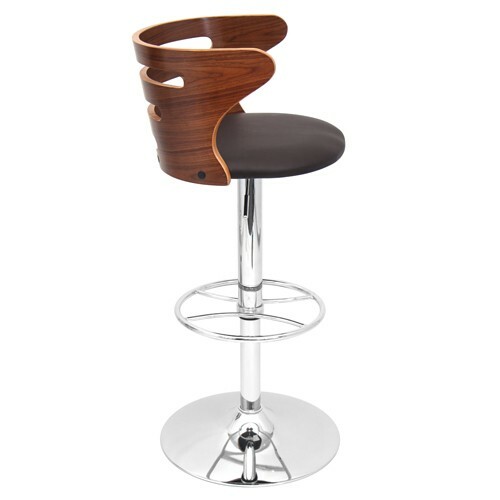 Beautiful elegance first comes to mind with the Cosi bar stool. 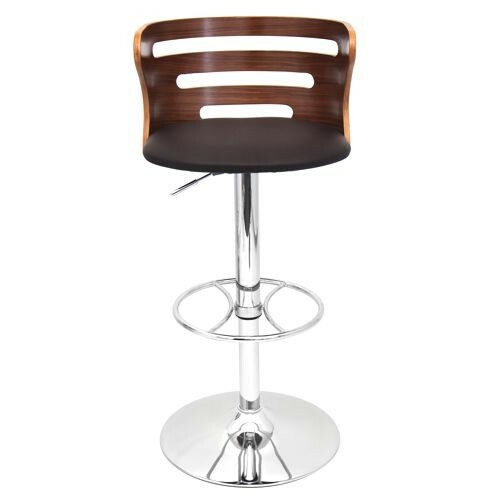 With a wonderful bent wood back complete with slates for a contemporary flair, a comfortable padded leatherette seat, and polished chrome base and footrest the stool is comfortable and stylish. 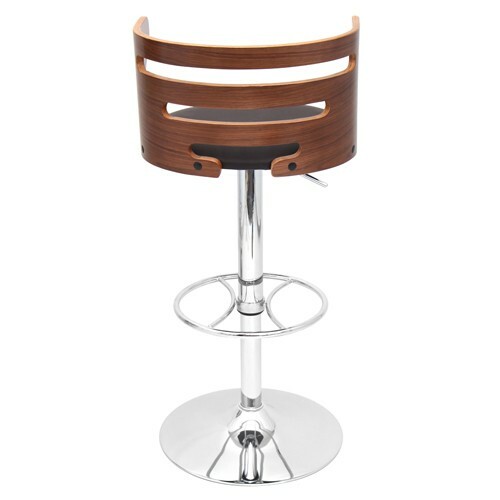 Hydraulic lift lets you adjust the seat height for convenience. 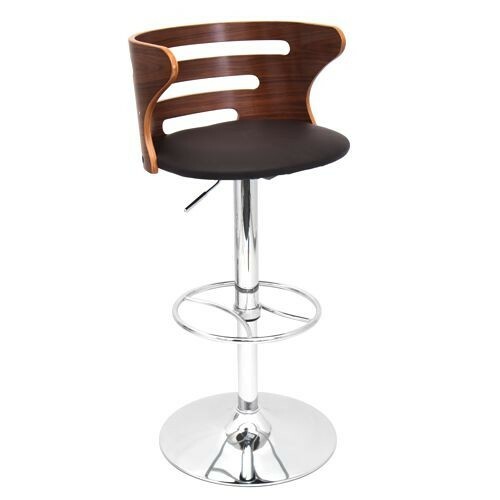 Available in a painted Black backrest/shiny Black leatherette seat or a Walnut backrest/Brown leatherette seat. 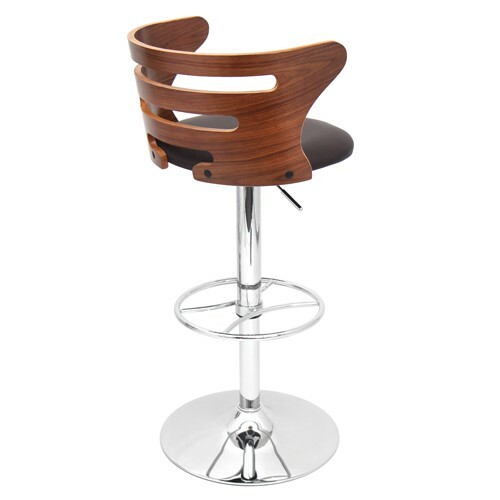 Note: Due to the natural variation in wood, color may vary slightly.